← Perchloric Acid – A Versatile Murder Weapon! 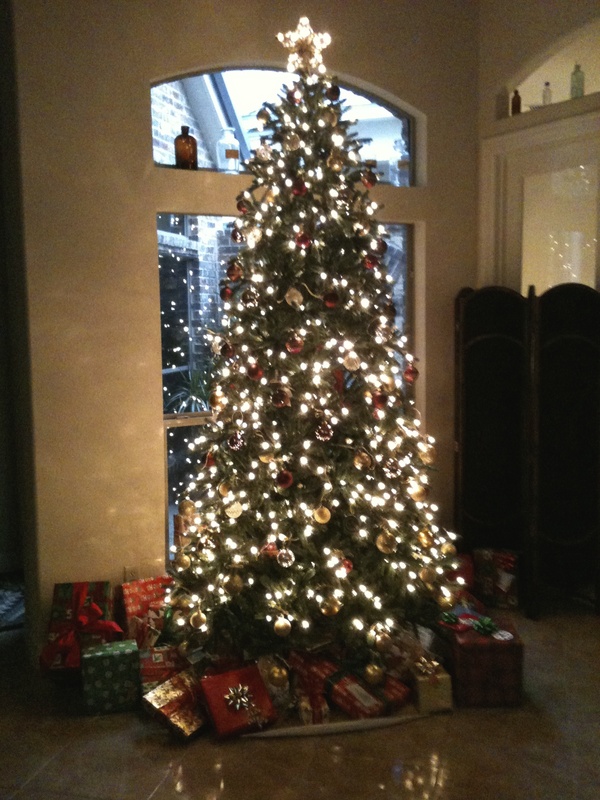 Last year around this time, I wrote a couple of short stories with Christmas themes. I was pleased that both got published in seasonal anthologies. One of those stories, Santa’s Secret Helper, was . . . well, it was sort of a “twisted Christmas theme” about a guy who’s wife accidentally poisoned her husband with yerba maté tea laced with cocaine. The plot evolved from sinister to hilarious when the man played Santa Claus at a Christmas party and wrecked havoc on the world around him. In my story, yerba maté tea gets a bad reputation, and today I’m determined to right that wrong. When my wife and I were traveling in Argentina several years ago, we experienced the wonders of this stimulating tea and had occasion to sip it along with our fellow travelers. Yerba maté is made from the dried leaves and twigs of a specific holly tree (Ilex paraguariensis) that grows in the rainforests of South America. The tree originated in Paraguay, but it now grows in Brazil and Argentina. For centuries, the Aché Guayaki tribe supplied much of the tea to the surrounding area; but since the 1930s, Argentina has been the largest producer and consumer of this tea. A special container (known as a “gourd” or “Maté Urn”) is used to make a daily mixture for consumption. The dried holly leaf/twig blend is placed in the gourd and only enough cold water is added to moisten the mix. The container is next filled with hot water (no hotter than 150 degrees F) to just below the top and steeped. The brew is sipped through a special spoon-straw apparatus (called a “bombilla”). The spoon helps keep the tea in solution and is bulbous with small holes to strain the leaves out of the liquid as you drink. 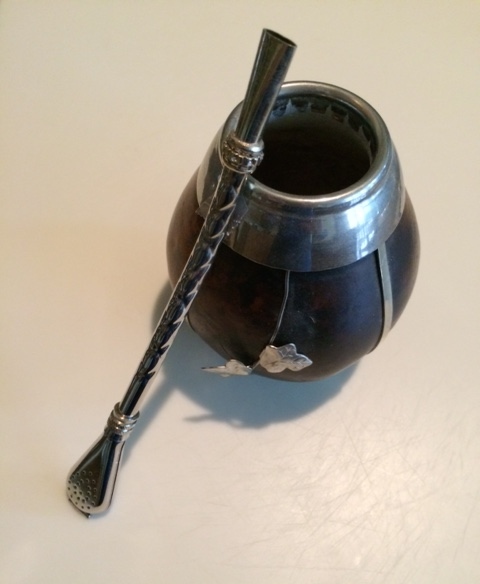 The handle of the bombilla is actually the straw used to sip the tea. There is a long-standing ritual attached to sipping yerba maté in that one person does the preparation and sips the first mixture. That same person refills the same holly leaf blend with more hot water and passes it around for friends to partake. This ritual can be repeated in a pour-pass-sip fashion several times before a new dry mixture is needed. My wife and I experienced this wonderful ceremonial custom while traveling in the countryside of Argentina, although the whole time I was wondering what microorganisms were being passed along in the sipping process. Fortunately, neither of us experienced any ill effects. Of the six most commonly used stimulants in the world (coffee, tea, kola nut, cocoa, guarana and yerba maté), yerba maté wins out as the one that provides the most energy and nutrition. 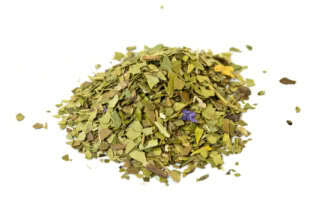 It’s been reported that yerba maté contains an abundance of vitamins, minerals, amino acids and antioxidants. Deemed “The Drink of the Gods” by many indigenous groups in South America, the tea has gained popularity in North America in recent years and is found in many health food stores. Advertisements state that yerba maté has the strength of coffee, the health benefits of tea and the euphoria of chocolate. The slightly bitter taste may take a little getting used to, but after that it can be a bundle of joy in a cup! In 1964, the Pasteur Institute and the Paris Scientific Society stated, “It is difficult to find a plant in any area of the world equal to maté in nutritional value.” Yerba maté is reported to stimulate the brain, the heart and blood vessels without the nervousness and jitters associated with coffee. It might just be the thing to help get you through the hectic holiday season. But, if this fun tea seems too good to be true, it may be. The Mayo Clinic has done studies on yerba maté and determined that occasional drinking poses no health risk but that drinking large quantities over prolonged periods of time may increase the risk of certain cancers. As my Santa Claus character in last year’s short story can attest to, yerba maté can be a wonderful mood lifting and very stimulating drink. BUT, a little too much . . . 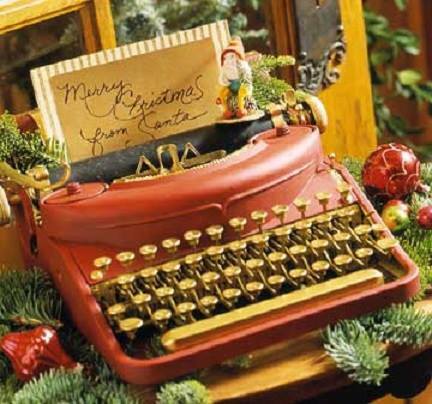 This entry was posted in A Christmas Greeting, A Holiday Wish, A Twisted Christmas Short Story, A Twisted Holiday Short Story, About James J. Murray, Accuracy in Editing, Argentinian Yerba Mate Tea, Benefits of Yerba Mate Tea, Blog Writers, Blogging, Christmas Anthology, Christmas Short Stories, Christmas Themed Blog, Happy Holidays, Holiday Cheer, Holiday Fiction, Holiday Short Stories, Popular Stimulant Drinks, Prescription For Murder Blog, Seasons' Greetings, Yerba Mate Tea, Yerba Mate Tea Drinking Practices, Yerba Mate Tea Drinking Rituals and tagged Argentinian Health Drinks, Argentinian Yerba Mate Rituals, Caffeine's Benefits and Risks, Christmas Blog, Healthful Drinks, Healthy Trends, History of Yerba Mate Tea, Holiday Wishes Blog, How Yerba Mate Teas Is Made, Santa's Secret Helper, Winter Holiday Blog, Yeerba Mate and the Bombilla, Yerba Mate and The Mate Urn, Yerba Mate Benefits and Risk, Yerba Mate Containers, Yerba Mate Gourd, Yerba Mate Ingredients. Bookmark the permalink. Ha, I do have a gourd and bombilla on a shelf, Jim, and I’ll ber glad to dust it off and share some good cheer when you and Ann get back to town. Have a super Christmas trip, my friend!